There are few accidents more dangerous or upsetting than a hit and run accident. Getting into any kind of motorcycle collision is serious enough, of course, but the stakes grow inexorably higher when the assailant flees the scene without exchanging any information. In many cases, incidents of this sort can lead to criminal charges and significant fines against the other driver. In cases involving catastrophic injuries or major property damage, however, jail time is almost certain. It is not uncommon to feel helpless in the wake of an anonymous attack like this, but it is equally important to seize the reins, contact a Phoenix hit and run motorcycle accident lawyer and act to defend yourself. What should you do if you are the victim of a hit and run? Job one is to stabilize your own health, of course, particularly if you aren't yet sure of the extent of your motorcycle hit and run injuries. If you are lucid and able, however, you will also want to pay close attention to everything you see, including the make, model, and partial plate of your assailant. If you cannot gather such information at the scene, don't worry, however good forensic techniques and the possibility of surveillance or eyewitness testimony may help to catch your assailant quickly. Once the offending parties have been identified and charged, it is time to recover what you deserve. Many of these cases proceed like conventional personal injury cases past this point, meaning you will pursue damages for any number of expenses: medical care, medical therapy, loss of income, loss of productivity, and pain and suffering. This last category may increase significantly in the wake of a hit and run, however, as the trauma of being injured by such a grossly negligent party can inspire juries to assign major punitive damages. Contact a Phoenix Motorcycle Accident Lawyer at Breyer Law Offices, P.C. It all starts with retaining an effective Phoenix motorcycle crash attorney at the Husband and Wife Law Team. Waging and winning cases like these take a particular combination of forensic technique, legal expertise, and uncommon dedication. Breyer Law Offices, P.C. have been defending the victims of hit and run accidents throughout Phoenix and beyond since 1996, and today our rate of success is 98%. If you want to speak with an aggressive and compassionate motorcycle accident attorney right away, call Breyer Law Offices, P.C. at (602) 267-1280. 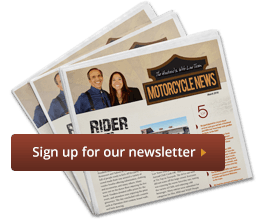 Phoenix Hit & Run Motorcycle Accident Attorney Disclaimer: The legal information presented at this site should not be construed to be formal legal advice, nor the formation of a lawyer or attorney client relationship. Any results set forth herein are based upon the facts of that particular case and do not represent a promise or guarantee. Please contact an attorney for a consultation on your particular legal matter. This web site is not intended to solicit clients for matters outside of the state of Arizona.